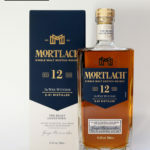 This entry was posted in Blog, New Whisky Releases and Bottlings and tagged BenRiach, Horizons, Peat, Solstice, Speyside on 29 January 2011 by Mike. Ã¢â‚¬ËœHorizonsÃ¢â‚¬â„¢ is quite an unique whisky for BenRiach and Speyside for that matter. It has been triple distilled. The previous owners of BenRiach, Chivas Brothers, performed some experiments with triple distillation at BenRiach back in 1998 Ã¢â‚¬â€œ why is not clear. Ã¢â‚¬ËœHorizonsÃ¢â‚¬â„¢ is then finished for a minimum of 3 years in Oloroso Sherry butts (having started life in ex-bourbon casks). It is aged over 12 years old, is non chill filtered, and is bottled at 50% ABV. Nose: Roasted almonds and Brazil nuts. Hot, freshly buttered scones smothered in clotted cream. Sweet heather honey adds an extra luxurious contribution. Taste: Vibrant and wonderfully fresh. Huge nutty characteristics right from the start including peanuts, Brazil nuts and hazelnuts. A slice of sweet creamy oak and honey brings balance to the equation. Ã¢â‚¬ËœSolsticeÃ¢â‚¬â„¢ is a heavily peated BenRiach which started off life in ex-bourbon barrels, and has then been finished in Tawny Port Pipes. Great that port pipes have been used for this. Benriach say that what makes this release so special is that these casks are some of the best they have in the warehouse Ã¢â‚¬â€œ they are simply sensational. Both Billy Walker, master blender, and Stewart Buchanan, distillery manager, have identified these casks as exceptional. Stewart told me that he is particularly pleased with this one. After all, peat and port is always a winner. Ã¢â‚¬ËœSolsticeÃ¢â‚¬â„¢ is aged over 15 years old, is non chill filtered, and is bottled at 50% ABV. Nose: Benriach: Rich wood smoke with ladles of sweet peat. Home made raspberry jam and spiced fruit shortcake. Spicy and big. Taste: Benriach: Massive peat and wood smoke flavours partner a base of soft red fruits and autumn spices - cloves and cinnamon specifically. Very bold and intense characteristics. This entry was posted in Uncategorized and tagged Autumn, festival, Speyside, Whisky on 24 September 2009 by Mike. The festival includes a programme of masterclasses, bus tours to distilleries many not usually open to the public, a Stramash, a whisky auction and gala eating out nights. The programme will be launched on or around 18th July on www.spiritofspeyside.com. This entry was posted in Uncategorized and tagged festival, Speyside, Whisky on 12 May 2009 by Mike. Each year I ask independent bottlers to enter whiskies into 2 categories: Speyside and The Rest of Whisky. During the festival these are available to taste and festival goes are asked to vote for their favourite in each category.